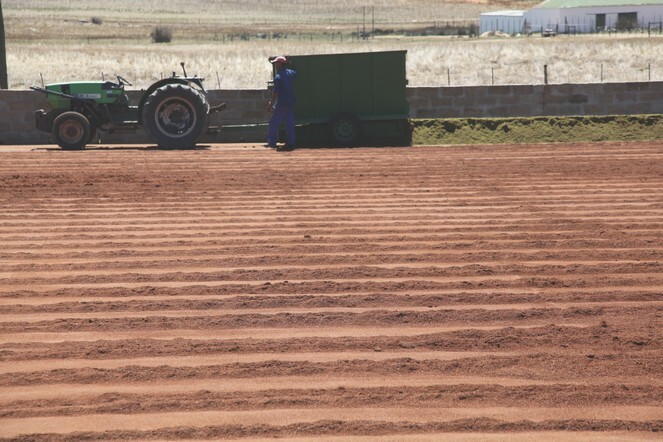 In South Africa, the only country that produces Rooibos, 350 farmers grow it as a crop. Australia and California (United States) tried to grow Rooibos, but failed. 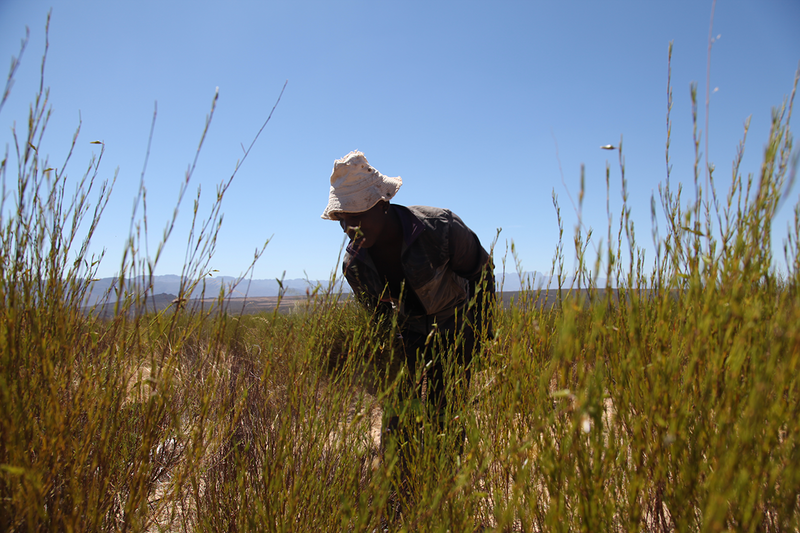 Rooibos is harvested when temperatures are high, by workers who often come from neighbouring countries. The tea plant is an evergreen and its leaves do not change colour when the cold weather pervades after the summer. So, to bring you some seasonal autumn colour, I have chosen an image of rooibos leaves drying on the ground, spread out in very thin layers, oxidising after being watered. 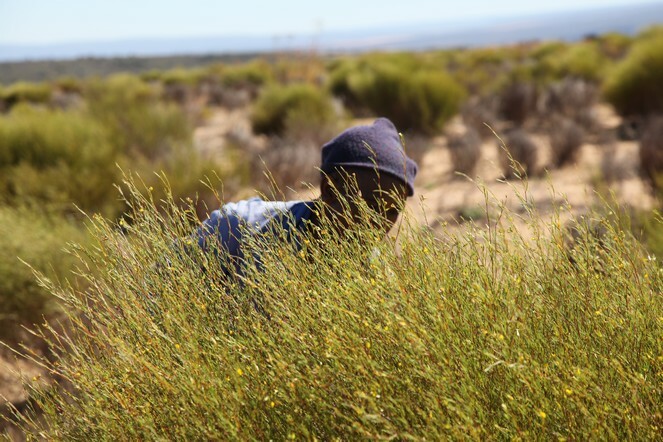 Some South African farmers have just sent me this photo taken last month during the rooibos harvest. I’m in the middle, and the temperature was close to 40 degrees. The working conditions aren’t easy in this region, which is so arid in the summer that almost the only things that grow are stones and sand. When, in the evening, I drink a cup of this infusion that is completely free of caffeine and theine, I think of them and the joy it gave me to discover such wonderful landscapes and people. 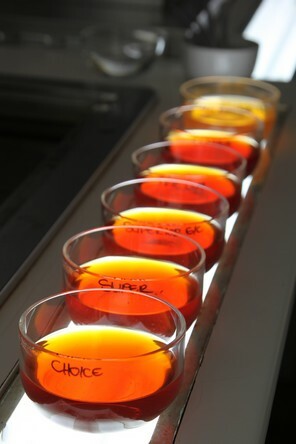 There are different grades of rooibos, but not much difference between them. However, the “long cut” offers the most interesting experience in terms of fine flavours and powerful aromas. It is the most harmonious. It is the only grade I have bought for years. An amusing detail: for rooibos tastings in South Africa, the cups are lit from beneath in order to judge the clarity of the liquor. 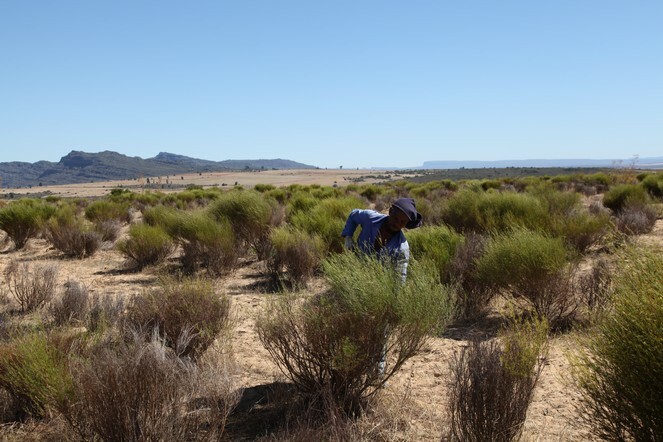 As soon as they are plucked, the rooibos shoots are cut and sprinkled with water. Then the oxidation process can begin. This takes place outside and causes the leaves to change colour, from green to brown. 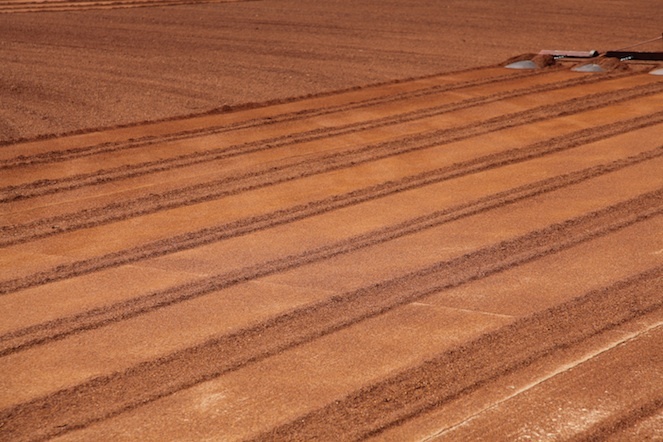 When it has oxidised to the right degree, the rooibos is spread out on the ground in a fairly thin layer, so it can dry in the sun. 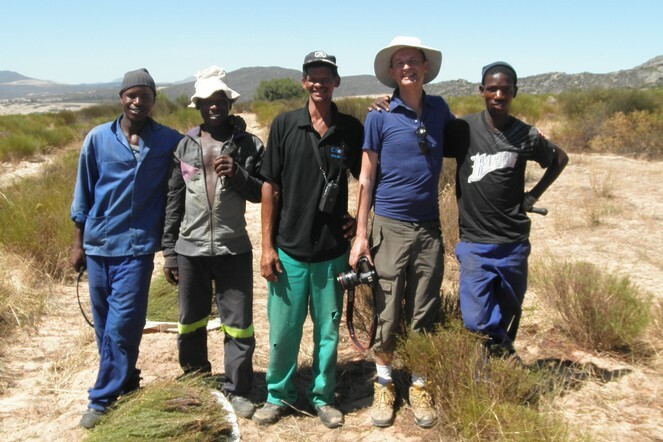 The rooibos harvest has begun, and I am happy to be here. The harvest lasts less than two months. South Africa is the only country that produces rooibos, a plant sometimes known as “red tea”, but which is not a tea at all. 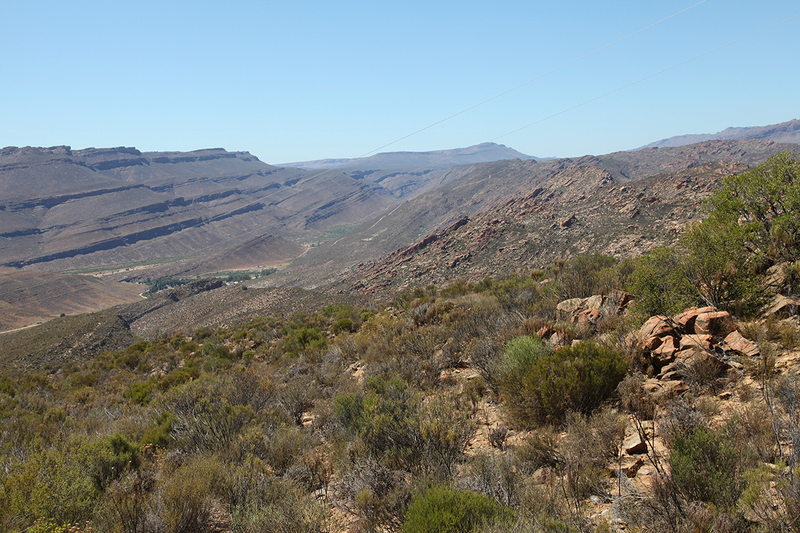 Rooibos is rich in antioxidants and is completely free of caffeine. It is my favourite drink before going to bed.